Most PDF issues can be fixed by downloading and installing the latest version of Adobe Reader. Even if you have the latest version, you may find that reinstalling Adobe Reader will fix the issue. Mac users should view the PDF in Safari instead of Firefox. For help with specific errors including opening, saving, printing, or emailing click on the tabs above. An article in HTML format has been reformatted to display nicely on a web page. It may not include page numbers, which makes citing the article difficult. When you open or print a PDF, the article text may appear garbled and unreadable. First, verify that you are using Adobe Reader to open or print the PDF. If you try to open or print PDFs in Microsoft Word or other word processing software the PDF text will not format correctly. If you using Adobe Reader, try saving the PDF to your computer using the alternative save method. Then, open the saved PDF and print, if desired. 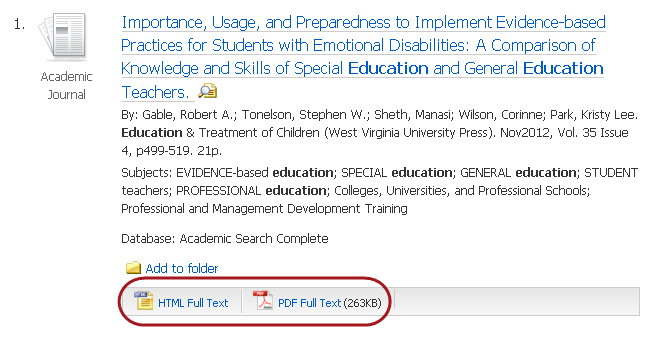 Thanks to the Walden University Library, as portions of this guide’s template were built upon the template created by their staff. Used by permission.